Book your World Expeditions' Galapagos adventure and save $1300! 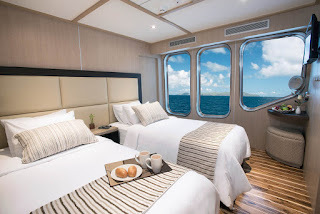 Cruise the wildlife wonderland that is the Galapagos Islands on board the luxurious MV Origin motor yacht and you'll stay in one of only 10 fully air-conditioned deluxe staterooms with private bathroom, enjoying superb cuisine, fully stocked bar and generous observation areas and open sun decks. Two on-board naturalist guides will help you discover the wildlife havens and learn about the natural environments of this exciting destination. You'll save $1300 per person twin share – and pay $9,750 - on this unforgettable eight day luxury cruise, normally priced at $11,050. Book before 31 December this year (while cabins last), and depart between 1 September 2019 and 9 December 2019. Offer includes a bonus night's accommodation at the luxury boutique Hotel Del Parque in Guayaquil. 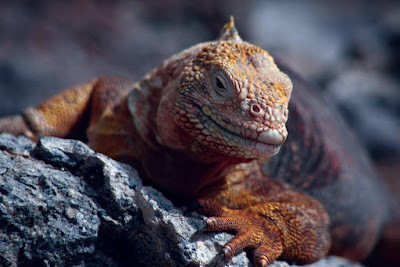 More information at https://worldexpeditions.com or call 1300 720 000. From on board: Up periscope! Just what is 'screeching' exactly?